Nominees in a leadership position for at least one year. Nominees must be in good standing and nominations must be supported by - one up- leader. Nominations may be made by any faculty or staff member. Self-nominations are not accepted. Nominees must demonstrate consistent practices that impact success across the five pillars and demonstrate consistent Credo behavior. *Executive Leader Eligibility - Senior leaders reporting directly to the President and CEO or Deputy CEO are not eligible. 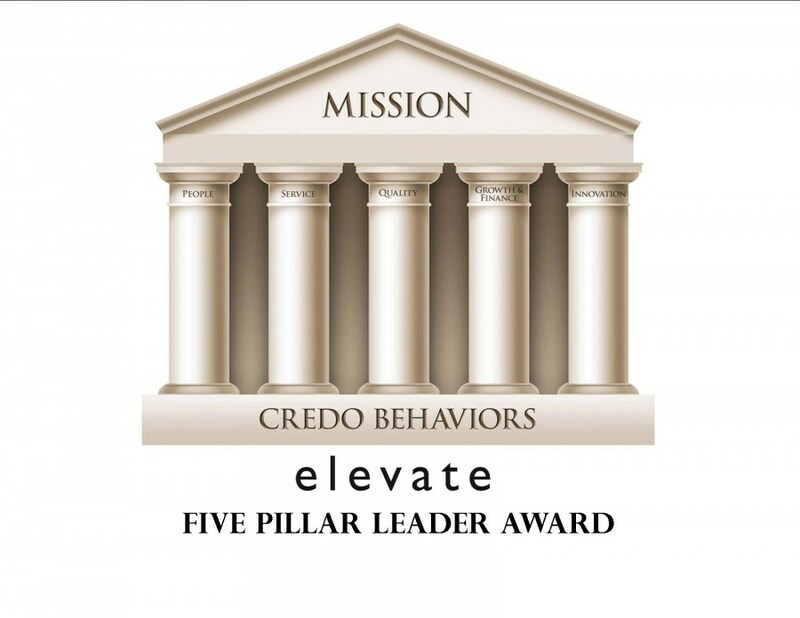 The purpose of the Five Pillar Leader Award is to recognize exceptional leaders who consistently model a balanced approach to leadership across the five pillars and demonstrate Credo behaviors. excellence consistently in each pillar.